An essay that you have written in response to the linked prompt. Please follow instructions carefully. A personal interview with you and your parent/ guardian. After we have received all the above materials, we will contact you and set up an appointment. FAFSA – required for financial aid. You have shown interest in attending OBU by submitting an application and having your ACT/SAT scores directed to us. We have reviewed your materials, and although your GPA and/or ACT/SAT scores are less than our admission requirements, we believe that with some academic interventions, you can be successful in a four-year college setting. You will be admitted conditionally to OBU through the Pursuits Program, a cohort/learning community, during your freshman year and will be enrolled in classes with other Pursuits students, especially during the first semester. All Pursuits classes are for college credit toward your degree. Pursuits ENGL 1114, Introduction to Composition will meet five days a week. This course will assist in writing and reading skills in preparation for not only OBU’s English program, but the reading and writing assignments in other content areas. ENGL 1114 meets the core English requirements for ENGL 1153. Students requiring additional math preparation will take Math 1003 plus additional math as required by their degree. Non-science majors may register for Issues in Biology. Successful completion of this course will meet the general education science requirement. Science majors may be asked to register for Introduction to Chemistry I and II as preparation for the next level of courses. We also have a speech course CMAR 1092 Introduction to Speech Communications for which students may register. In addition, you will have a faculty mentor with whom you will meet each week for support. This mentor will continue to work with you during the second semester of your freshman year as you take other college courses. The Student Success Center and its academic mentors will also be part of your support team, and you will be required to go to the Center for additional academic assistance. If you choose to be part of the Pursuits Program, you won’t spend your time just studying. 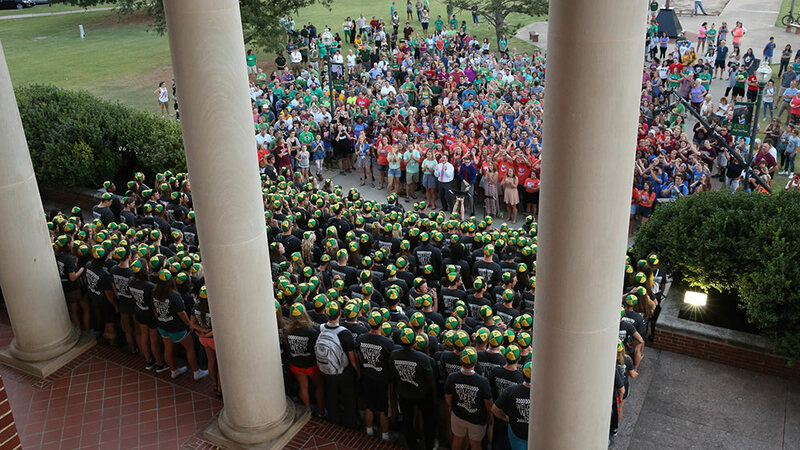 We encourage you to begin your journey on Bison Hill by fully engaging student life at OBU.